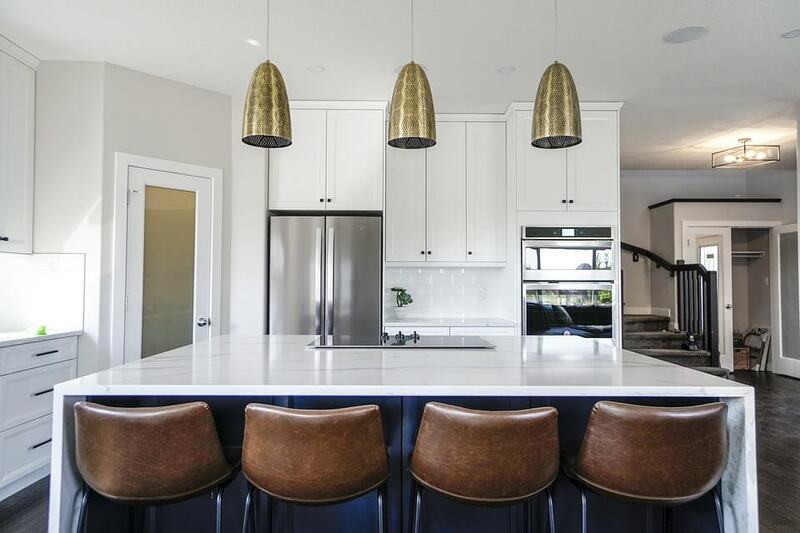 Kitchen renovations are one of the most popular home improvement projects in the United States, and it’s no wonder – the kitchen is frequently referred to as the “heart of the home.” It’s the preferred gathering spot of family and guests, whether you want them to or not. That’s why it’s so important to create a kitchen design that not only looks good, but is also super functional. So you can host your entire gang, and still be able to ace kitchen duties. Take note of the following kitchen design mistakes so you can avoid them when creating your dream kitchen. Being able to access all working points of a kitchen should be the foundation of your kitchen design. It pays to follow the age-old “kitchen triangle” layout rule. This ensures a smooth-running kitchen, as it connects its three main work centers – the fridge, sink, and oven – and allows for easy access to them. 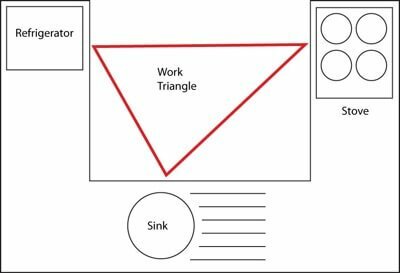 Although a triangle is used in the example, your kitchen doesn’t need an island to follow the rule. Galley style works as well, as long as the distances represented in the schematic are followed. Although it sounds childish, the first thing you must do to avoid design mistakes is to sit down and properly plan around the multiple activities that will be carried out in the room. If you are the entertainer type, you want to set up a space for company. If you tend towards clutter, you better rethink that window and include more storage space. Planning around your family’s needs is a sure way to avoid a kitchen layout faux pas. Don’t skimp by using cheap, poor quality materials for your kitchen joinery. A kitchen renovation is a long-term investment, so use the best-quality products you can afford. Stones, Corian, and sustainably sourced solid woods are some examples of materials that will go the distance, especially when coupled with extra strong fittings and hinges. If you cannot afford custom kitchen cabinets, consider hardwood options. Prefabricated cabinets will likely need replacing far before real wood options. If you’re the neat type, consider adopting open shelves in the kitchen. They are considerably cheaper than cabinets. Not only that, but open shelves tend to make spaces more airy and bright. There is a mantra we like to repeat over and over again. 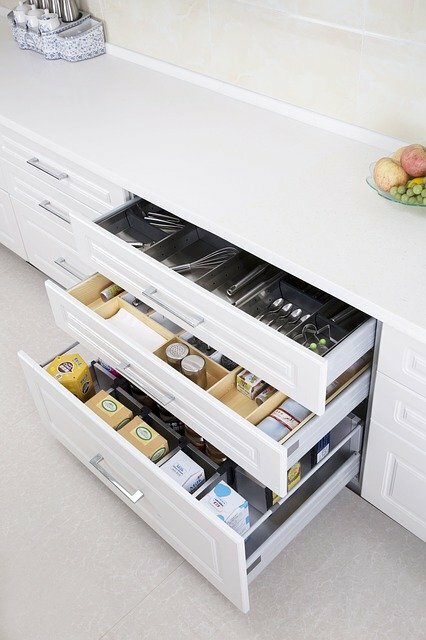 Unless from one to ten you rate yourself as an eleven in storage habits, there is no such thing as too much kitchen storage. Take advantage of all the space you have. If you have high ceilings, use them! Full-height kitchen cabinets are valuable for storing things like dry goods, supplies, and cans, and have the added benefit of not allowing hard-to-clean dust to build up, which is often found on the top surface of standard kitchen cupboards. This option is excellent for families, with parents gaining the ability to store items dangerous or inappropriate and keeping them away from the children. Even if the latest kitchen trends say that copper worktops or lengths of glistening white, handle-free cupboards are in, don’t lose sight of what you need your kitchen to do. When designing your kitchen, spend some time thinking about how you and your household use the space. Maybe a big family table makes more sense than a sleek kitchen island, or perhaps dark, durable surfaces will be more practical in the long run. When in doubt, stick with the classic kitchen materials that never go out of style. Marble countertops and glass-paned cabinets have been featured in every design style since the ’20s. The safest way to avoid a design mistake in the kitchen is to pick timeless materials that won’t feel outdated. Even if time passes, quality is your friend, and you’ll be able to upgrade by changing hardware and doing some minor tweaks. Don’t forget that the walls behind the stove top and sink needs to be properly protected and easy to clean. Think of extending the traditional backsplash zone to cover the space above your countertops as well for a truly unified look. 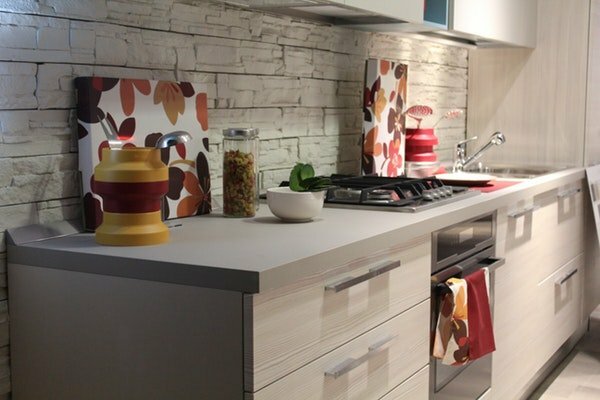 There are many cladding material options on the market, and they provide one of the best ways to bring color and personality into your kitchen. Not having a proper backsplash is a huge kitchen design mistake. Your wall colors will be covered with grease stains. A successful kitchen design has many elements to consider, from initial space planning to the placement of pipes and electrical work. The folks on HGTV make it look easy, but there are many design mistakes that happen when the cameras are not rolling. 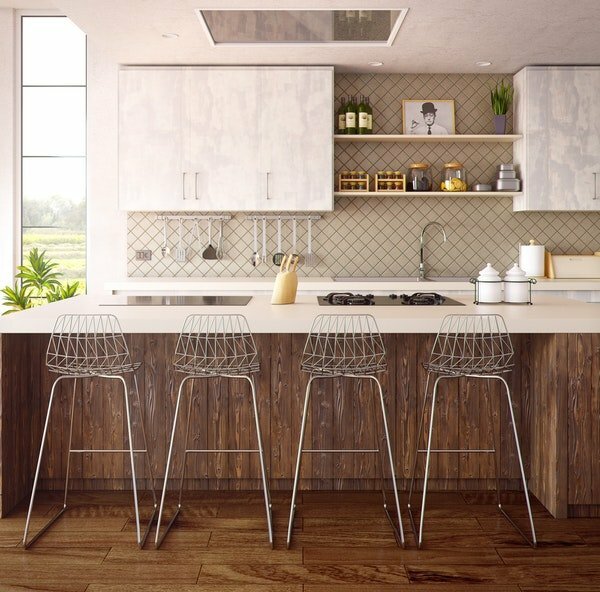 Even if you have a good idea of how you want your kitchen to look, don’t shy away from seeking advice from a kitchen planner or designer who can assist you in making your dream kitchen a reality. Expert advice is always recommended to avoid any potentially costly pitfalls along the way.